Truck mount steam cleaning in Shoreline, WA. 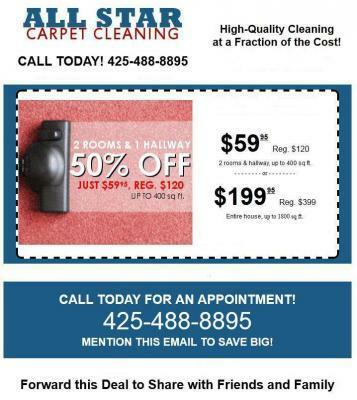 One of the most recommended methods to clean a carpet is the hot water extraction. The hot water extraction unit of this machine is generally mounted or fixed to the floor of a van that is parked near the premises of the house or the building. The vacuum hoses are then taken inside the building to perform the cleaning. 4. Since the truck mount system is already set up in the van, the carpet cleaning professionals do not waste any time in setting up the machine and thus start their job immediately.